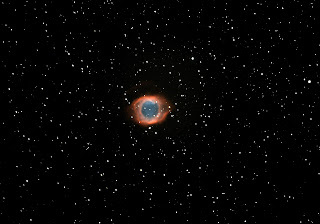 NGC 7293 is commonly called the "Eye of God" do to it's distinctive shape. 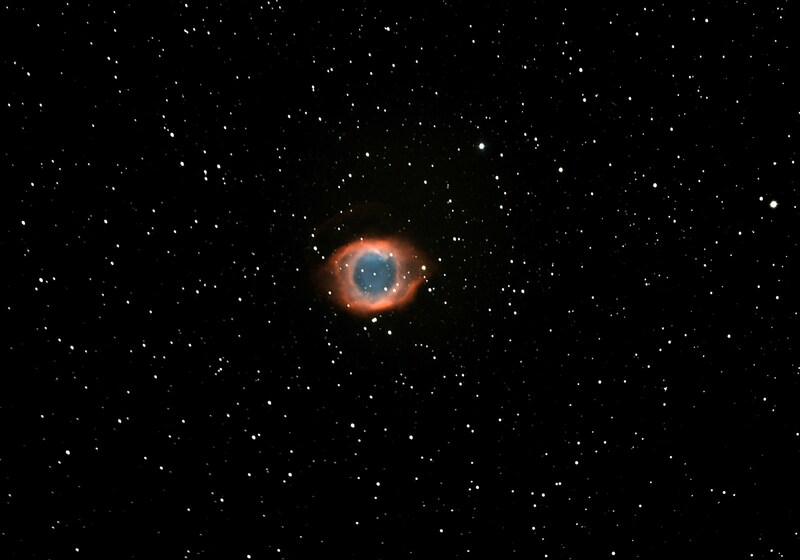 The Helix Nebula is a planetary nebula located in the constellation Aquarius and discovered in the early 1800's. About 700 light years away. This image was taken near Fort Davis, TX on August 28, 2011 around 2am. It is a 5 min exposure. 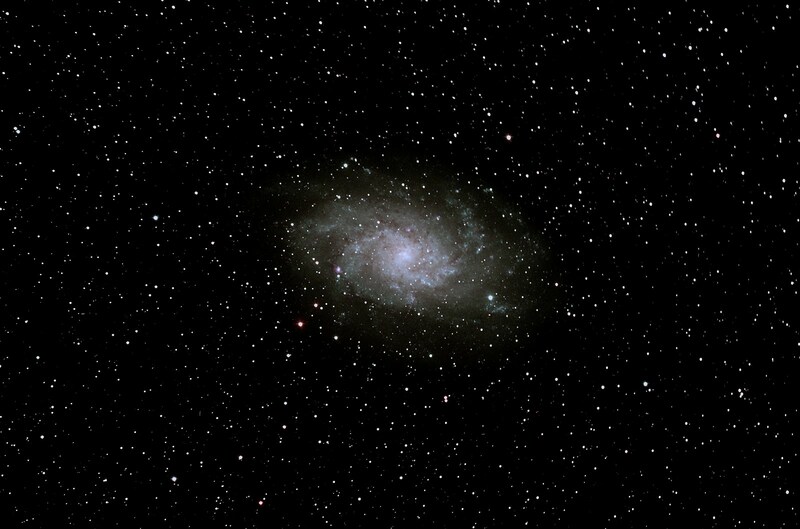 Total capture time was 125 minutes using a Celestron C11 HD and autoguided. 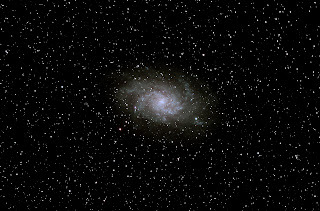 3 million light years away, the Triangulum galaxy lies in the constellation Triangulum. This image was taken in Fort Davis, TX in the early morning hours on August 28, 2011. 5-min exposure, exposed for over two hours duration.